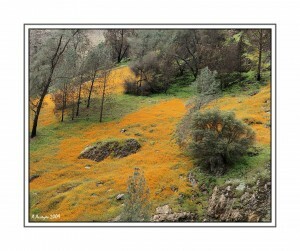 Poppies along Merced River Canyon were spectacular this year. Last year fires might contribute to this phenomenon. Michael Frye said it was the best poppies show in 25 years! Last couple weeks 140 Hwy was packed with people watching and photographing flower carpet covering canyon slopes. Hite Cove trail was spectacular as well. It’s probably still at its peak. If you’re planning to visit Yosemite or Merced River canyon, you don’t have much time. Hurry up. If poppies were abundant last weekend, shooting stars and lupins were just picking up. Red buds were not at the pick either. Snow fall covered Yosemite valley floor on Saturday night. Hope it will not spoil spring and early summer flowers in the valley. As always I recommend Carol Leigh’s blog for last flowers blooming reports.